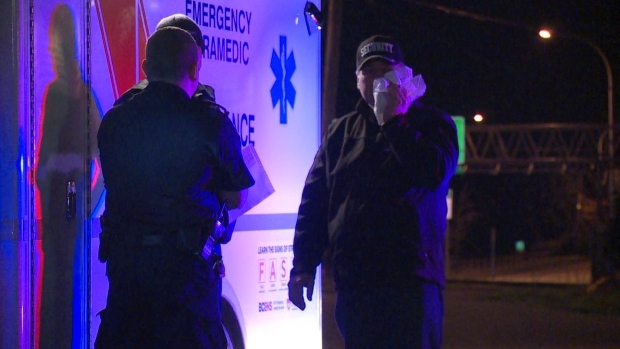 A security guard nurses his face with a bag of ice, after a violent altercation outside the Turf Pub in Surrey, Thursday morning. Police dogs get new rules in B.C. 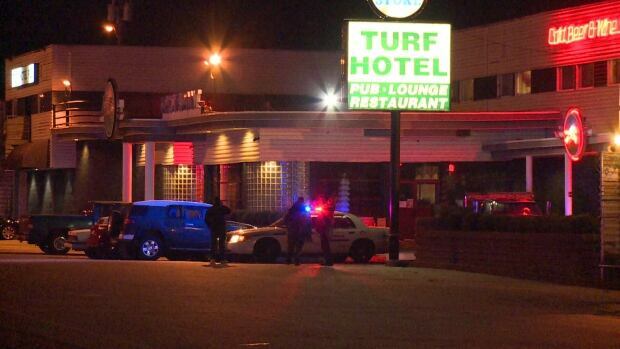 A man was taken to hospital with a Surrey RCMP dog bite, after allegedly taking part in a fight with a security guard outside the Turf Pub, early Thursday morning. The incident happened a little after 2 a.m. in the 12400-block of King George Boulevard. 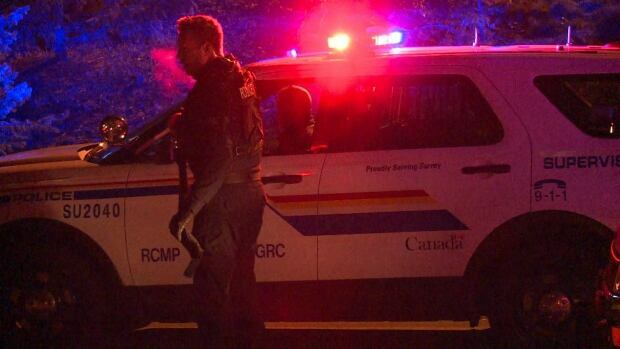 The suspect’s cries of pain could be heard coming from an ambulance as he was treated by paramedics, but according to Surrey RCMP Staff Sgt. Blair McColl, the bite wound on the man’s left arm isn’t believed to be serious. Witness Jhun Trivino said the incident began after the pub closed, when the security guard intervened in a physical altercation between a man and woman. “When he tried to stop the guy who’s hitting the girl, all the other guys jump on him,” said Trivino who added that the guard was up against at least four people. The altercation ended when Trivino and other pub patrons got involved and the group of men fled. “We saw that the security had blood on his face and then we started calling the cops,” said Trivino. The security guard could be seen walking around after the altercation with a bag of ice against his face. McColl said a search for the other people involved in the fight was called off.